It appears everybody has PTSD these days. “Ohh that’s just my PTSD acting up on me”, I overheard somebody say at Whole Foods the other day. Is PTSD one of those “modern” diseases like depression or narcissism? Have we become wimps when it comes to tolerating pain and emotions? I don’t think so. Living in a fast paced environment like we do can be emotionally challenging and leave one feeling desolate and anxious. Maybe some of us experience their lives as a series of traumatizing events? So what is PTSD? Post-traumatic stress disorder is an anxiety condition that can develop after a person has experienced or witnessed a terrifying event or ordeal. Traumatic events that may trigger PTSD include violent personal assaults, natural or human-caused disasters, accidents, or military combat. The National Center for Posttraumatic Stress Disorder estimates that in their lives, one in every 13 Americans will experience some form of PTSD. About 30 percent of these individuals will develop a chronic form of the disorder. Psychotherapy and/or medication have been the treatments of choice so far. Recently, there is an increased interest in alternative therapies that have proven effective in decreasing PTSD. Feelings of stress and anxiety can be effectively treated with acupuncture. This will result in a decrease of other physical symptoms like for example headaches, high blood pressure, insomnia or irritability. 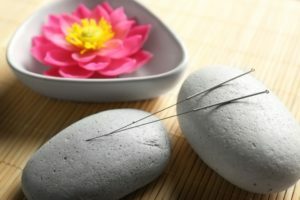 Acupuncture restores the chemical balance of the brain. It moderates the adrenergic system (fight-or-flight reaction) and has an almost immediate calming effect. This is helpful in processing the experienced trauma. 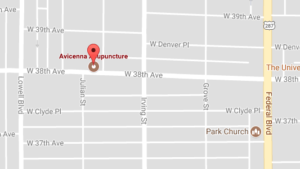 Acupuncture is safe, non-addictive and can be combined with other treatment methods well. One of the many research programs is taking place at the University of New Mexico, founded by the National Health Institute. Dr. Michael Hollifield, an associate professor of psychiatry and family medicine at the university’s department of psychiatry and the study’s principal investigator states, “to date, our research supports using acupuncture for treating PTSD symptoms, including insomnia, anxiety and depression, in addition to some pain disorders”. Soldiers and civilians struggling with PTSD today can receive acupuncture treatments at the War Related Illness and Injury Study Center (WRIISC) DC.